Although eggs are often associated with Easter, which does so happen to be just around the corner, these eggshell fairy lights can be used all year round for any night time celebration! Once it’s dark the hollow eggs are transformed into beautiful glowing balls of coloured light. The affect is truly stunning. They are pretty fragile being made of eggshells, but if you are careful they’ll last through a whole year’s worth of festivities! For this part you’ll need your eggs, an egg piercer and a bowl. 1. Pierce a tiny hole in each end of each egg using an egg piercer (pictured above) or a sharp pointy ended knife. 2. Use the sewing pin to make the hole at the smaller end of the egg a little larger so that it will fit onto your fairy lights. 3. Leaning over your bowl, put your mouth over the smaller hole and blow the contents of the egg through the larger hole into the bowl. You’ll have to blow hard! 4. Give your eggs a rinse and leave them to dry. For this part, you’ll need your blown eggs, a hot glue gun and some coloured fairy lights. You’ll need to use LED lights, as they do not heat up, to prevent your eggs from cracking. 5. Place an egg over each light bulb on your fairy lights. You may need to make the hole in your egg a little bigger with the sewing pin if it doesn’t fit. Using your hot glue gun, place a small amount of hot glue where the hole in the egg touches the wire. 6. 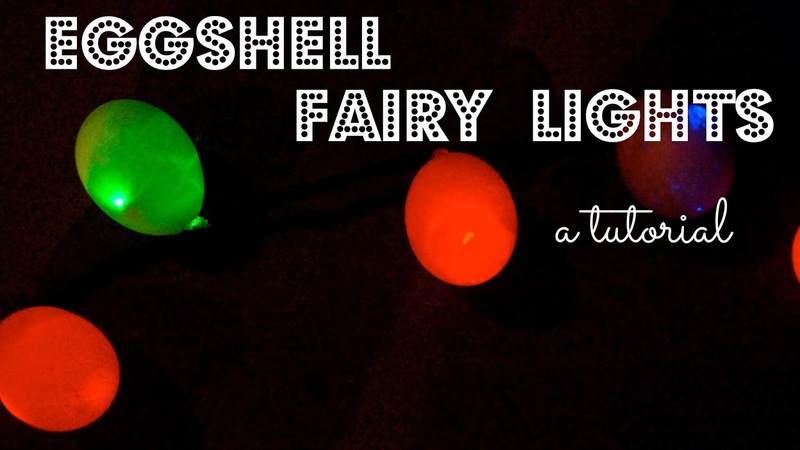 Hang your new eggshell fairy lights up and plug them in. They may look like a bunch of eggs on a string (which do actually look kinda cool) but when it gets dark …..
… look what happens when you turn on the lights! The effect is even more awesome in real life! They certainly have the ‘wow’ factor and these lights are so festive they’ll make you want to go and organise a party straight away! When is your next celebration? What are you celebrating? 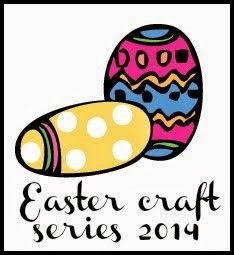 This post is part of the Frog Goose and Bear Easter Craft Series 2014. Note: Egg piercers can be found at your local kitchen or home supply store. They make a very small hole which is perfect for blowing eggs and it means that there are very few breakages. They are also fantastic to use when boiling eggs as they are much less likely to crack! * This post was originally published on Kidspot.com.au in 13 March 2013. Absolutely brilliant, children would love making those or helping to! Wow – this looks amazing. I&#39;d be sure to accidentally drop it though. I had a terrible record with our family&#39;s dropped hand painted blown eggs.